Tygon introduces a different type of tubing for your water cooling system! Norprene, not Neoprene, is a very special material. 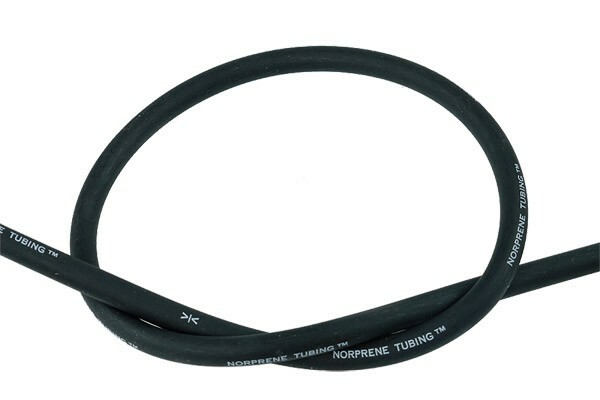 The most common materials used for tubing in PC water cooling systems are PVC or PUR, but Norprene as a commonly used material in industrial applications offers some extraordinary possibilities. This tubing is designed to withstand even harsh conditions for a very long period of time, offering a truly exceptional lifespan even under UV and heat exposure for many years. Thanks to these chemical properties this tubing is perfect for projects which are designed for a long lifespan, such as laying tubing through the house even inside walls. Installation inside of the enclosure is also possible with this tubing. Tight radiuses and an elegant tubing management was, up until now, only possible with angled connectors and adaptors. This was not only expensive, but also greatly increased flow resistance of the cooling loop, hence reducing performance. No more! This special tubing can be heat-fused: With a bit of training it is now possible to create any shape for perfect tubing management. Maybe not the tubing for everyone, but special tubing with many special possibilities which other products don't offer!